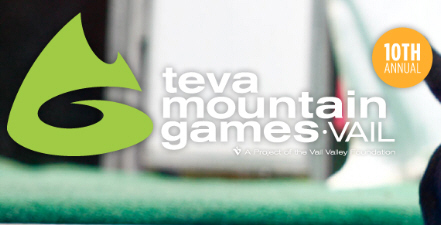 The Vail Bouldering World Cup at the 2011 Teva Mountain Games has come and gone. For the first time in the 4 years the TMG has hosted this World Cup no Americans stood atop the podium at the end of the comp with Alex Puccio (2nd) and Angie Payne (6th) being the only Americans to even make it to finals. Last year’s winner for the men, Daniel Woods, finished in 11th place with Julian Bautista having the best showing for the American men finishing in 9th. I was able to watch the livestream of the women’s qualifying round and the beginning of a very laggy men’s qualifying round, but I was unable to watch any of the action on Saturday. If you tuned in to either the IFSC.tv feed or the Rock & Ice feed to watch semi-finals and finals I’d love to hear your feedback in the comments on how things went. The Bouldering World Cup circuit takes a break for a couple of weeks now before reconvening in Eindhoven, Netherlands the weekend of June 17th. FYI Melissa Le Neve is from France. The livestream during the finals was great, with good footage and camera angles. The format where everyone went through each problem together was cool, allowing us to easily keep track of what was going on. However, the announcing for Rock and Ice by Alex Johnson and friend(?) left a little to be desired…. Timmy O’Neill probably would’ve been more interesting to listen to. I figure that as the sport matures for spectators, we’ll begin to see better color commentary. Simply repeating what country each person is from and the basic rules of the comp is pretty boring, it’d be nice to hear more about the individuals themselves. How about when they started climbing? Their outdoor sends? How they train for comps? I saw this event live and therefore did not hear Alex Johnson’s commentary, but I did hear her commentary on the Austria event and I thought it was fantastic. She knows all the competitors personally and her insight about them made for a much more interesting listen than the standard announcer who doesn’t really know anything about the climbers and often can’t even pronounce their names right. Timmy does a fairly good job, but I think having pro competitors like Alex continue to do commentary will be better for the sport and better for the viewers. I agree, the commentary on the Austria event was really good, I thought it was much better that time. What do you think of getting setters to give commentary? Insight to the climbs themselves might be interesting. Maybe I’m missing something… you said, “For the first time in the 4 years the TMG has hosted this World Cup no Americans stood atop the podium at the end of the comp,” but Puccio took second in the event. Can you clarify that statement? year. Jonson and Puccio won in ’08 and ’09 and Woods won in ’10. Leave a Reply to Carlos Lugo Click here to cancel reply.